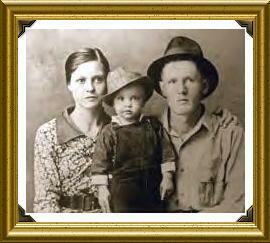 In September 1942, Presley entered first grade at Lawhon School in Tupelo. He was considered a "well-mannered and quiet child", but sometimes classmates threw "things at him — rotten fruit and stuff — because he was different... he stuttered and he was a mama's boy." During his earliest years, Presley would find his initial musical influences which originated from his family's attendance at the Assembly of God Church. Rolling Stone wrote: "Gospel pervaded Elvis' character and was a defining and enduring influence all of his days." Presley himself stated that gospel music became an important part of his life: "it was as natural as dancing, a way to escape from the problems." Throughout his life—in the recording studio, in private, or after concerts—Presley joined with others singing and playing gospel music at informal sessions.